After much speculation about whether he would run for president, Vice President Joe Biden finally announced today that he has decided to ¯\_(ツ)_/¯. 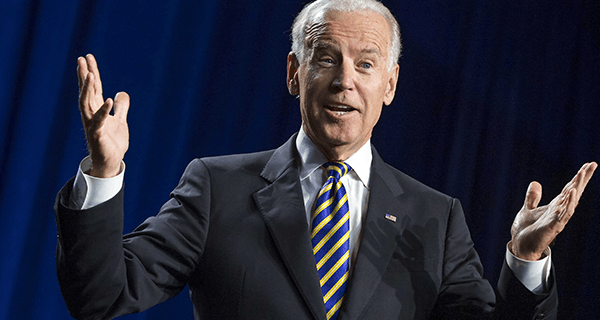 Biden’s announcement to ¯\_(ツ)_/¯ has put to rest months of speculation regarding the fate of his political career. While some had believed he would most likely run, others predicted it was just a matter of time before he ¯\_(ツ)_/¯. However, his absence during the first democratic debate last week was a definite turning point, leading his ultimate choice to ¯\_(ツ)_/¯ to seem even more inevitable. Though Hillary Clinton’s strong performance is thought to have been a leading factor, Biden maintains that his personal life is what ultimately informed his decision to ¯\_(ツ)_/¯. The news is largely regarded as a victory for Clinton’s camp, whose status as frontrunner became even more cemented now that Biden is officially ¯\_(ツ)_/¯ing. Despite his decision to ¯\_(ツ)_/¯, Biden promised to remain a defender of the Obama legacy. As the President and wife Jill looked on during his speech, the vice president continued to position himself as a staunch Democrat who would always defend his party’s values, regardless of the news of his ¯\_(ツ)_/¯. “¯\_(ツ)_/¯,” he said, looking out into the crowd.